Painting is a step by step procedure. After you have decided for the color that you want to paint, the next step will be the painting process. It is always hard to do the process of painting especially when you do not have enough skills and knowledge on how you are going to apply the paint you have chosen. If you wish to have the skills and ability in painting like a pro, there is always ways on how you can make it successfully. There is nothing to worry as the following steps are the best guide for you to follow. These tips will surely guide you in order to achieve paint job that will make the Pro’s impressed with your work. You must always opt for the right type of paint. With this, the paint that you should choose must suit to the surface of your walls or ceiling. The most popular choices for paints are the water based and the latex paints. These popular choices can quickly dry, emit few fumes and suitable for easy clean up. The latex paint can also be a paint that is not so much prone to yellowing and fading aspects. Because of latex paints, there is a breathable surface which lets moisture to emit. 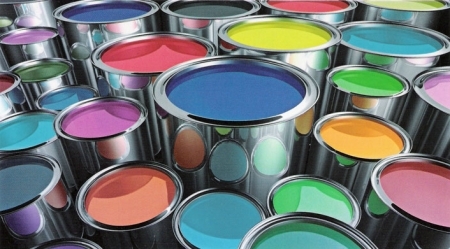 When y looking for advantageous durable paints, you must consider the oil based or Alkyd. Alkyd is the paint that can be applied during times where the temperature is low. Alkyd is used in repainting the exterior surfaces that have over three layers of paint and it is thicker than a latex paint. If you are not sure about the quality of old paint, a slight denatured alcohol can also be applied to a rag and can be rubbed into the surface which is a good try. It is always good if you are going to ask the paint seller whenever you are unsure about the paint that you are supposed to apply on your walls or ceiling. If you are going to paint the corners of your bathroom or kitchen, you should always choose the paint that is especially designed for these home areas. The right finish is always important for painting since all paints are in four different varieties. These are the eggshell or satin, flat, high gloss and semi-gloss. Those flat paints can possibly attract decay easily than those high or semigloss paints. It is because glossy paints have lesser pores so molds can have no quick growth in the paint. Durable and easy to wipe paints are those high and semi gloss. They are the best fighter for stains or scuffing that makes them perfect for traffic locations. However, those flat paints are said to be better especially in concealing all the unwanted things in the surface. These flat paints can make the appearance of surface to be smoother and more even. For living rooms and bedrooms, those paints with satin or eggshell which finish falls in between the semi gloss and flat paint are the best. It is because it gives a room warmth and depth atmosphere. If you have surface that measures four hundred square feet, one gallon of paint is enough. If the areas that you are going to paint are also more than what a 1 gallon of paint can cover, then you should probably have more than one gallon of paint. You should mix all paint before you start painting. Sometimes it is being called as boxing. There are different cans of paint which have refined variations of colors that cannot be easily seen in the can but will be very noticeable on your walls. Just in case you have a plan of doing two coats, you can also mix half of the paint at first. You should then mix the remaining paint after doing the first coat. Paint sprays and rollers are considered as time savers. But sometimes they are not really practical for smaller spaces or very detailed rooms. You can also have the easiest way of painting these kinds of rooms by traditional way of painting. For a usual job, you surely need a roller, tray, and brushes which sizes may vary from 1 inch up to 4 inches wide for detailed work or trim. Be sure about the equipment that you are going to use or prepare and always protect the surface of areas you are going to paint. Remove anything that is on the wall such as posters, wallpapers or hanging frames. Take away the curtains and set it aside. Cover materials such as the floors, cabinets, boxes or other furniture to avoid drops of paint with flattened boxes, brown papers or anything flat materials to protect those important materials form paint drops. If you are painting the walls of the kitchen that has dirty or greasy residue, you should clean it first. Hot water with detergent soap can be very helpful in removing it, after that rinse it thoroughly. Once the wall has dried up, wipe the surface with a damp cloth to remove all residues. Also, make sure to wipe the trim so that the surface to be painted will be very clean. There will be times that you don’t have to cover the edges with masking tape. If you do not use the blue painter as a special tape instead of using the ordinary masking tape especially in painting the surface, using ordinary masking tape can possibly damage the surface of your wall. You have to wrap the hardware like hinges and door knobs in order to protect them before starting painting. After that, keep a damp cloth or paper towels around during painting. After you have opened the paint can, you can use a nail in order to tap five to six holes into retaining grove. It allows the paint to run back into the paint can. If you are painting with the use of oil based paints, you have to use handy turpentine or make sure that you have your paint thinner. Those walls with Latex paints can be cleaned up with soap and water. Just in case you have to stop for a while, you must cover or seal it with aluminum foil or plastic wrapper instead of cleaning it. There are some situations like covering stains, covering the strong color, new drywall, and changing to dark color will surely be a great help with coat of a primer before you paint. You should choose the correct type for primer and make it tinted with similar color with your paint. It may seem as another step for painting for painting procedure that you are going to do but the primers will help in reducing the number of coats that you are going to do. Not all type of painting job but these kinds of special things can really be helpful in different ways. In painting like a pro, the use of rollers is very essential. Rollers can provide an even coverage with little variation of color and it is quicker to dry than using a paint brush. Make sure that the roller you are going to use has the correct nap for the surface of your painting. You should dip the roller into the paint so that it will be well covered and not saturated. Next step to do is to roll the roller into the ridges of the tray or pan to be sure that it can spread the paint in a very smooth way. You should prepare yourself by means of covering about four feet from the surface for every “dip” that you are doing with your roller. If you want to get best result for painting, you may paint large letter M to the wall and roll the roller side to side so that the paint will spread out and will fill the letter M you have made unto the wall. After that, finish it lightly up and down movement into the floor with eight up to ten foot ceilings. Then, it is you already have made a successful way of painting like a pro. These nine steps are always the best steps to follow in getting to painting job. Just always be sure about the step you are going to try in order to get the right thing about what you are supposed to do.